The origin of the falafel is highly debated. Israel claims the falafel as it's national food and that the bible lists the ingredients (not the food) as foods of the Hebrews. The Palestinians will state that the falafel was stolen from them and its origins belongs to them. To me it doesn't matter if it is from Egypt/Palestine or Israel but it probably matters to them that it is sometimes called the Hot Dog from the Middle East and sometimes served with french fries. I used to rave about Nuba's falafel until I found Abdul's. At the bottom of Crystal Mall which is known for their amazing Asian food court sits this middle eastern spot named Abdul's. I walked in and ordered a falafel for $5.50 and the man behind the counter warned me that it will take about ten minutes. I watched the man form balls out of chickpeas using a spoon and this weird metal device that could be called an ice cream scooper from the Middle East. 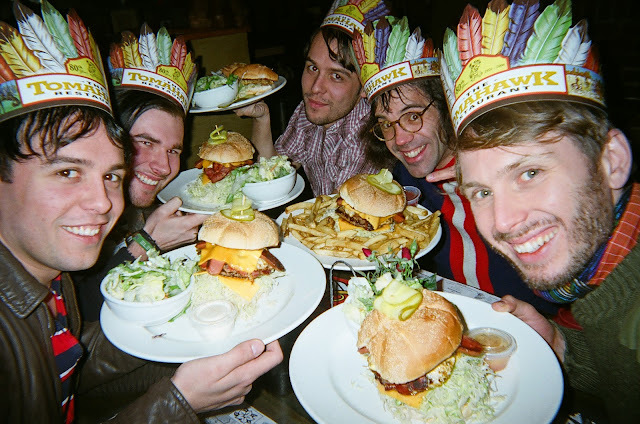 He fried them up and wrapped them up with lettuce, pickled vegetables and hot sauce. 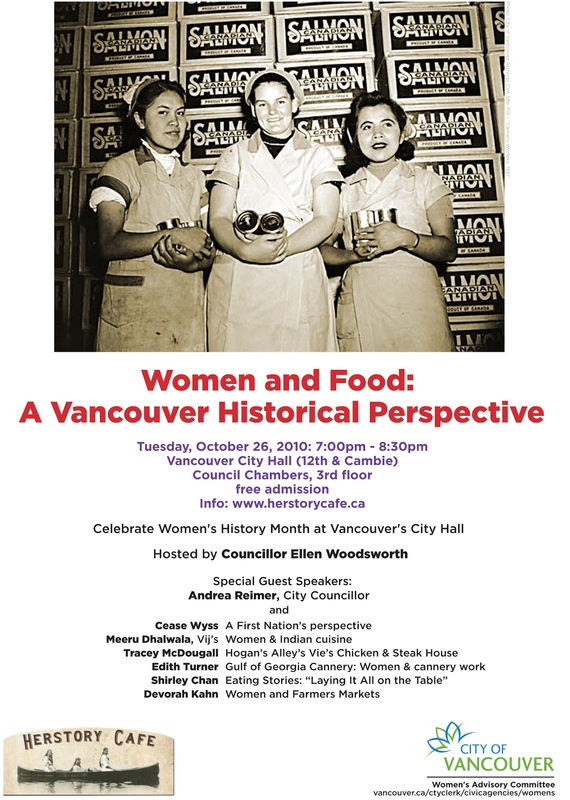 The atmosphere is bad enough that you would only want to order take out but the falafels are made fresh which happens at very few Vancouver establishments. I felt the wrap was generous in portion and tasted fantastic although he put a little too much hot sauce. So if you feel like something other than asian food in Crystal Mall, go to Abdul's BBQ and Shawarma. I still need to find a falafel or donair spot that will put fries in my wrap. I enjoy meticulousness, particularly when it borders on near obsession. So when people pursue their craft relentlessly, like in a crazy Brian Wilson sand-in-the-living-room kind of way, I dig the romanticism of it. There’s a few places in town that remind me of this. Re Up, the new Southern barbecue cart behind the Vancouver Art Gallery, is a great example of how one type of food can become a lifestyle. When you ponder the worship people lavish on barbecue, it’s no surprise that a guy like Chester Carey can devote his life towards smoking meats and beer (Carey is a cicerone – a sommelier for beer – and teaches the Serious Beer course at the Pacific Institute of Culinary Arts), and you can taste that level of sacrifice in their pulled pork sandwich. Apparently the Re-Up folk have other things on their mind as well: doing good and offering you a chance to as well. 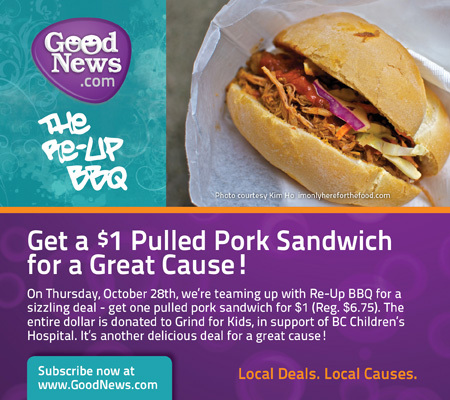 On October 28, 2010, the folks at GoodNews.com are offering a $1 pulled pork sandwich from Re-Up (regularly $6.75), with the proceeds finding their way to the BC Children's Hospital. That's great news, and yours truly will try to find every which way to end up at said hospital for treatment for all the blocked arteries I'll have from ingesting as many Re-Up sandwiches as humanly possible. As the Oxford Companion to Food puts it, the first mention of the croissant in French cookery appeared as a brief reference in 1853, with a further blip ten years after in 1863. By 1875, the croissant found its third reference in Husson's Les Consommations de Paris, but by that point it had already been demoted from being a 'fine' pastry good and into the 'everyday' and 'ordinary.' Oh, those fickle French! 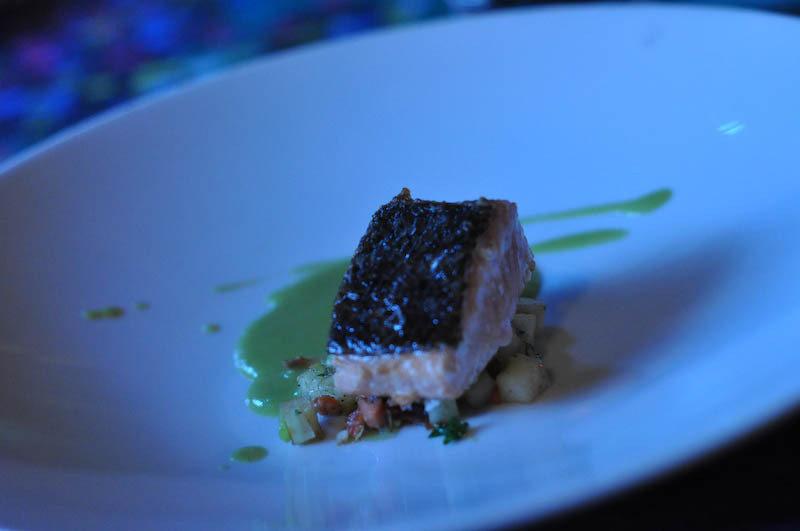 There's been quite a lot of chatter about the state of French cuisine and its supposed demise. Sarkozy has suggested that it be preserved on the UNESCO heritage list and yet others are claiming that the better French restaurants are in Japan. We're not entirely convinced, but we were curious about how croissants fare at a few of the more traditional French bakeries in town. I have a blender that I got at London Drugs and it only comes out of the cupboard once in a blue moon so I never thought that I would need or use a high end blender. One day my friend brought over the Cadillac of blenders and schooled me about the upper echelons of the blender world. From what I was told the two kings of the blender world are the Blendtec blender and the Vitamix blender both ranging in the way too much money range (The Blendtec is $650 and the Vitamix is $450). I couldn't really fathom spending over 100 bucks on a blender but a couple of my friends (one owns the Blendtec and one owns the Vitamix) stand fully behind their blenders (I also have friends that swear by the robot vacuums if that says anything). Based on their logic, if you make a smoothie a day and prefer to drink your meals these things easily pay for themselves. My lifestyle hasn't required me to be drinking kale on a daily basis but if I ever get to that point I may have to consider purchasing these machines or at least a Magic Bullet. The one thing that did blow me away is that these blenders can make ice cream. I thought it was a lie because I thought ice cream required a cold metal container and some freezing but somehow this blender can make ice cream without a freezer (they can cheat science). I need to look into the science behind this but somehow this $500 motor makes ice cream in under a minute. Pretty awesome!!!!! Side note, is Cadillac still the appropriate barometer for quality? What are people saying lately? UPDATE: Now with input from Thomas Haas and Peter Fong! Pierre Herme, one of France's most celebrated pastry chefs and whom Vogue has named the "Picasso of Pastry," once declared that one of the most important qualities of a great croissant was its 'noise': "I almost hear it scream when people tear into it. The viennoiserie is alive, it is the soul of the baker." 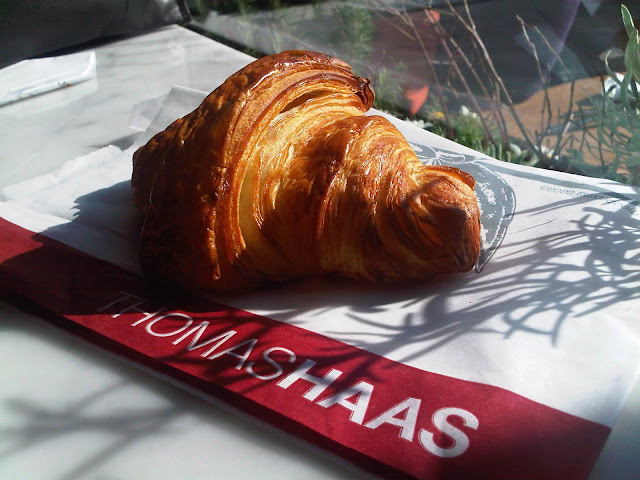 Of the many bakeries and cakeshops in town, there are two that are always mentioned in great esteem: Thomas Haas and Ganache. Both have earned their place in the high-end niche, and are generally the first suggested when contemplating desserts and pastry as an art form. But do they have the crucial soul that Herme alludes to, or is it all flash over substance? To many, the croissant is just something you buy in bulk from the grocery store, one crescent shaped pastry amongst five (or eleven, depending on your habits) identical twins. They simply inhabit their space, uninspired, content to just get by. And if we're on a quest to find the city's best croissant, your typical grocery store croissant serves its necessary function as the worst croissant. Here's the baseline for our ongoing comparison: a stale IGA croissant, dry, crusty, dense and joyless. For just a bit over a dollar, this travesty provides a solid control for the experiments to come. Part of the grocery store croissant's problem is that, as far as the IGA cashier knew (the baker was off on errands), the croissants already come partly made and finished off on site. Then they sit in their plexiglass jail, drying out as though in a desert, all of it made worse because there's just not enough butter to preserve the faintest notion of moisture. If grading the IGA croissant on our three criteria of butteriness, flakiness and lightness and on a scale of 5, the IGA croissant provides a benchmark for what a 1 would be in all three categories (a 0 is near impossible because, as we all know, a bad croissant is still better than no croissant at all). But that's not to say pre-made is, in and of itself, a horrible thing. Croissants are notoriously difficult to make. The Julia Child recipe in Mastering the Art of French Cooking is pages long. There are ludicrous amounts of rolling, cutting, folding, refrigerating...the process, though rewarding, is arduous. For that reason alone, it's not surprising that over a third of croissants sold in France are made from pre-made frozen dough. Let it be known: using frozen dough is not a crime against humanity. Most dough freezes well, and without much detriment. Using frozen dough allows one to bake only what is necessary, which is in keeping with the cardinal rule of all things baked: they taste best when fresh out of the oven. Our first two croissants are cases in point. Each is a venue of limited space, with a lack of kitchen space to handle baking in bulk. I was sitting at Hapa in Yaletown yesterday and I just remembered that I didn't post any photos from the Taste Of Yaletown Media event. I wasn't sure about how I felt about this event until I saw the menu at Hapa Izakaya yesterday. For 25 dollars you get a good amount of quality food and the menu does not solely consist of food that you would never order. 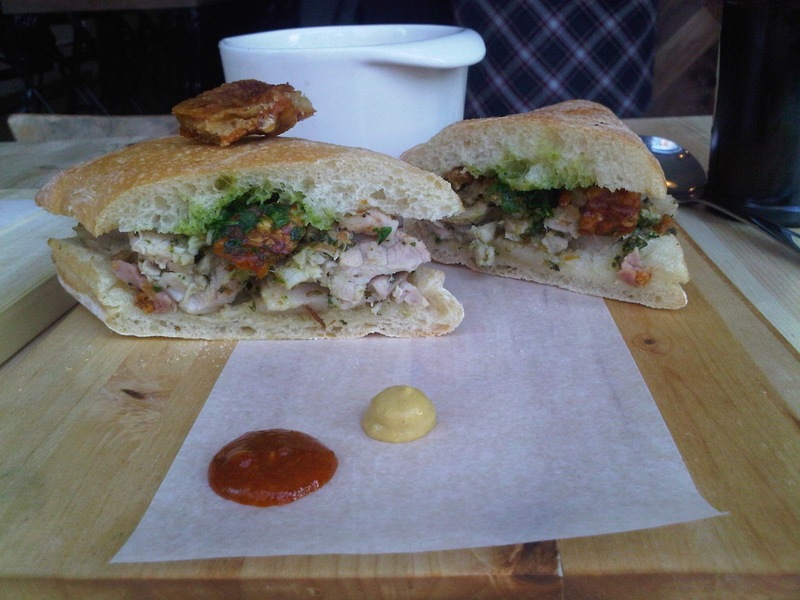 If you are looking for a good dining out experience the Taste Of Yaletown is a great option. The croissant's various origin stories are as varied as they come. A popular myth dates back to the Battle of Vienna in the 1680s, when the Turks had surrounded Vienna, cutting off supply lines in an effort to starve its inhabitants out. This apparently took longer than expected, and the Turkish army soon took to digging tunnels under the city to gain access. Bakers up late at night heard the tunneling, alerted the city's defenders, and saved Vienna from occupation. In celebration, the bakers made the croissant, taking the shape from the Ottoman flag. Many people have taken issue with that story, noting that it didn't really spread around until the first edition of Larousse Gastronomique in 1938. In other versions of the story, the battle was in Budapest. 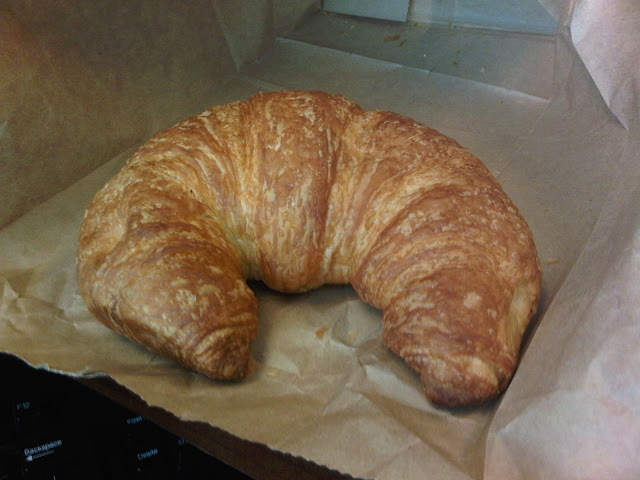 Others credit the croissant to Marie Antoinette. Still others cite it back to Austrian August Zang, who, in the 1930s, opened one of the most famous Viennese bakeries in Paris, and later developed the croissant from the Austrian kipfel. These disputes all underlie an accepted truth: everyone loves a great croissant. Even the bad ones are good. 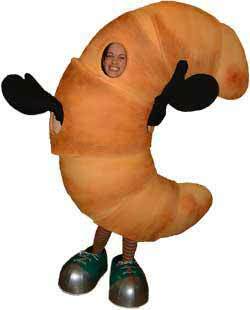 But who's got the best croissant in town? Vancouver Slop's going to find out, with the thankless task of sampling croissant after croissant - from restaurant, from bakery from cafe - until we come up with a declaratory win. Lightness - while lightness and flakiness are common bed, lightness in itself can't be forgotten. A lovely croissant should float away like a balloon, a possible solution for the reported helium shortage. We'll start it off with Acme Cafe's croissant later this week, but tell us what other places we should check out in the comments. I love both of these places for their great Mexican food which is really somewhat hard to get in Vancouver. Plus Budgie's Burritos even has had punk gigs in their store!! Doot doola doot doo ... doot doo! I saw a couple of signs for Chronic Tacos near my place and was instantly curious about this chain. The signage confused me. It had a pseudo grafitti look to it and I wasn't sure if they were pedaling drugs or tacos or weed tacos. After some Wiki research it appears this place is a popular US chain and has affiliations to the crew from Jackass. The website makes me laugh (www.eatchronictacos.com) where you are instantly greeted with a Chronic Tacos rap that sounds like something from A Lighter Shade of Brown and pictures of some hot gals rocking the colours of Mexico. Walking into this place I was happily surprised. The Broadway location is large, has a bar stacked with both hard liquor and beer, 8 large screen TVs playing sports and they were playing some serious dance hall beats. Chronic Tacos offers an interesting concept, fast line prepared food served fresh however the environment promotes more of a sit down atmosphere. In general the tacos were solid but what really impressed me was the beer battered shrimp taco (under 4 bucks). I love deep fried things and so the concept of putting deep fried shrimp in a taco is guaranteed to make me happy. Imagine deep fried shrimp, cabbage, cheese, salsa, on corn tortilla. Such a great idea, and i'll will be coming back soon to get the bigger version (burrito version 7 bucks) and watch some soccer on the big screen. The fish / shrimp tacos are where its at.